Munich, 29th Novem­ber 2018 – The Audi­ting and Con­sul­ting firm Ebner Stolz advi­sed G+E GETEC Hol­ding GmbH on the acqui­si­tion of Infra­park Basel­land AG (share deal) and selec­ted assets of Novar­tis Pharma Schwei­zer­halle AG (asset deal) with Finan­cial and Tax Due Dili­gence as well as in Tax Struc­tu­ring. The tran­sac­tion advi­sory was per­for­med in con­junc­tion with the Swiss part­ner firm ADB Altor­fer Duss & Beil­stein out of the Nexia Inter­na­tio­nal net­work. The GETEC Group is an inter­na­tio­nal ope­ra­ting Ger­man energy ser­vices com­pany. G+E GETEC Hol­ding GmbH (a port­fo­lio com­pany of the Swe­dish firm EQT), head­quar­te­red in Mag­de­burg, aqui­res two indu­s­trial parks loca­ted in Basel. The acqui­si­ti­ons are expec­ted to be com­p­le­ted at the end of 2018. GETEC acqui­res the Schwei­zer­halle indu­s­trial site, loca­ted in Basel. As part of a share deal, GETEC acqui­res the ope­ra­ting com­pany Infra­park Basel­land AG from Cla­ri­ant Plastics & Coa­tings AG, a spe­ci­alty che­mi­cals group head­quar­te­red in Mut­tenz, Swit­zer­land. Cla­ri­ant remains owner of the pro­perty. As part of an asset deal, GETEC takes over the infra­struc­ture and ser­vice buil­dings of the Swiss bio­tech­no­logy and phar­maceuti­cal com­pany Novar­tis. Novar­tis AG, head­quar­te­red in Basel, will also remain the owner of the site and its own pro­duc­tion halls, while the real estate requi­red for the ope­ra­tion of the indu­s­trial park (e.g. ware­house and office buil­dings) will be trans­fer­red to GETEC. As the new owner of the indu­s­trial park, GETEC will take over all indu­s­trial park ser­vices. These include energy sup­ply, faci­lity mana­ge­ment, logistics and environ­men­tally fri­endly was­te­wa­ter tre­at­ment. In 2017 the two parks com­bi­ned for reve­nues of about EUR 132m. The Tax Due Dili­gence and the Tax Struc­tu­ring was per­for­med in con­junc­tion with the Swiss Nexia part­ners of ADB Altor­fer Duss & Beil­stein around Dr. Pas­cal Taddei, Jürg Altor­fer and Marc Diet­schi. Ebner Stolz is one of the lar­gest inde­pen­dent mid-sized MDP firms in Ger­many and is among the Top Ten in the sec­tor. The firm has deca­des of in-depth expe­ri­ence in audi­ting, cor­po­rate finance, tax advice, legal advice, and cor­po­rate con­sul­ting. 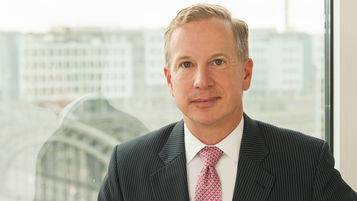 With more than 100 emp­loyees and cha­rac­te­ri­zed by a mar­ket-lea­ding posi­tion in the mid-cap tran­sac­tion mar­ket, the sec­tor Cor­po­rate Finance plays a cen­tral role wit­hin Ebner Stolz. The Cor­po­rate Finance Team pre­do­mi­n­antly advi­ses medium-sized indu­s­trial enter­pri­ses as well as Pri­vate Equity com­pa­nies and Family Offices in the course of natio­nal and inter­na­tio­nal tran­sac­ti­ons. Cross-bor­der tran­sac­ti­ons are car­ried out in with part­ners of Nexia Inter­na­tio­nal, one of the world’s top ten net­works of inde­pen­dent con­sul­ting and audi­ting firms. 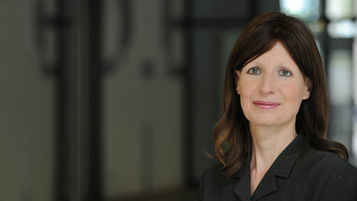 With more than 650 Nexia offices world­wide Ebner Stolz is pre­sent in more than 115 coun­tries.